Banks and other financial institutions are invited to apply to distribute new low-cost loan scheme announced in the 2019 Budget – applications to be submitted by 11 February 2019. This scheme will be available to eligible small businesses including the primary agriculture and seafood sectors to support strategic long-term investment in a post Brexit environment. Scheme will make €300 million available to eligible businesses with up to 499 employees at a rate of 4.5% or less.  21 January 2019: The Strategic Banking Corporation of Ireland (SBCI) has issued an open call inviting banks and other lenders to take part in the Future Growth Loan Scheme, which is being developed by the Department of Business, Enterprise and Innovation (DBEI) and the Department of Agriculture, Food and the Marine (DAFM) in partnership with the Department of Finance, the European Investment Bank Group (EIB) and the SBCI. The “Open Call” invites financial institutions to apply by 11 February 2019 for designation as a lending partner under the Future Growth Loan Scheme. Approval of loans is subject to the finance providers’ own credit policies and procedures. Loans must be used for long term investment.